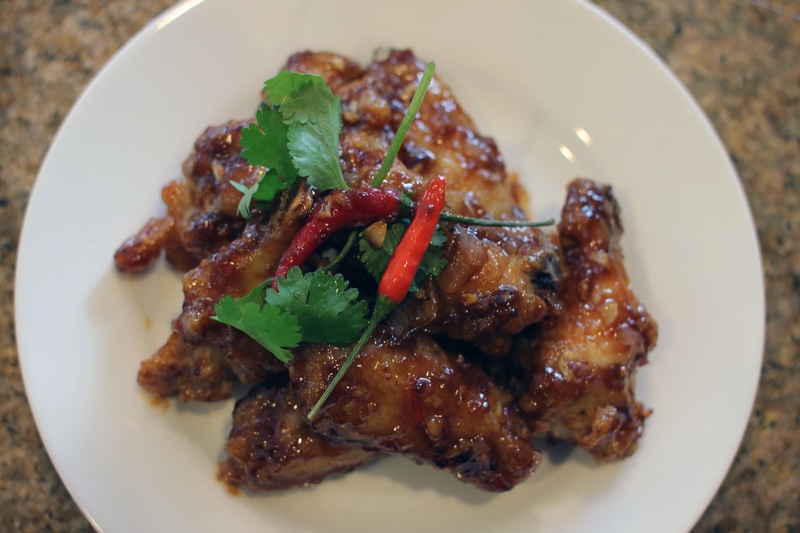 After creating the robustly flavored tamarind sauce for the Tamarind Shrimp and seeing many people post pictures of chicken wings on Facebook and Instagram, I HAD to fry up some crispy chicken wings and toss it in the sweet, spicy, and tangy sauce for some delicious, finger-lickin’ chicken wing experience. As I mentioned in the Tamarind Shrimp post, you can adjust the sauce any way you like. Add more sugar if you like it sweeter, add more tamarind if you like it tangier, and add more fish sauce if you enjoy the pungent taste! I try to play with the ingredients and make the sauce as balanced as possible, to excite the taste buds, and provide the mouth with a flavor explosion like no other. I think tasty tamarind chicken wings accompanies plain white rice perfectly. I love scooping up the garlic, shallot, and chili bits from the sauce and eating with the rice. You can never go wrong with super flavorful chicken wings and rice! Tamarind Sauce – In a small saucepan, combine tamarind liquid, palm sugar, fish sauce, water, and Sriracha sauce and bring to a slow simmer until the sugar is dissolved. Note: If palm sugar is unavailable, use brown sugar. Chicken Wings Preparation – Season chicken wings with Salt, Pepper, and garlic powder and mix well. 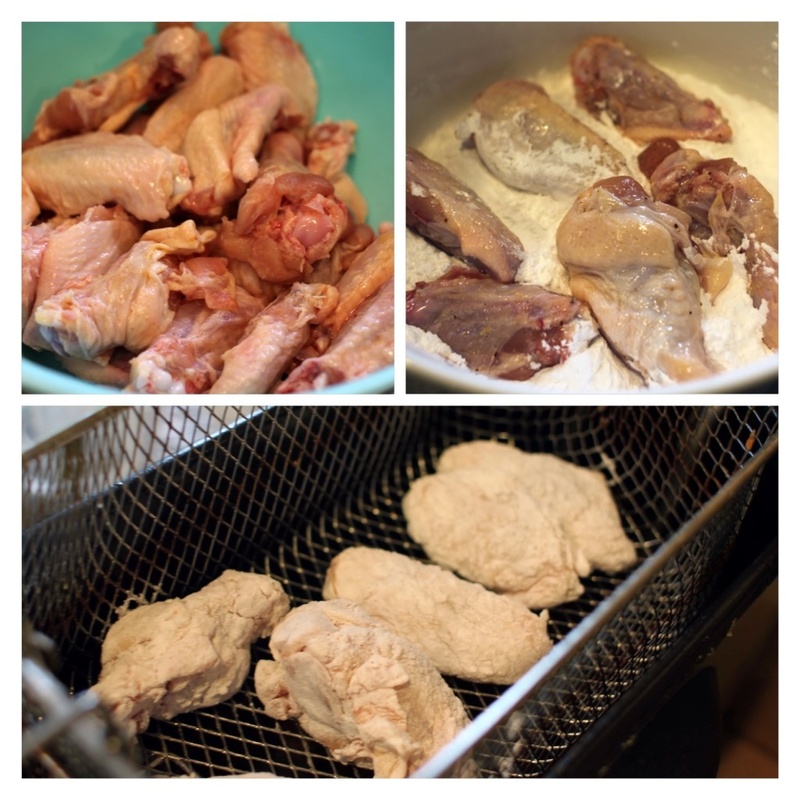 Frying Chicken Wings – Turn deep fryer on to 375 degrees. In a medium sized bowl, add Tapioca Starch (If you don’t have Tapioca Starch, you can use Potato or Corn Starch as well). Dredge chicken wings in tapioca starch, shake off excess starch, and once the deep fryer is ready, drop the chicken wings in ~6-7 at a time and cook for about 7 minutes or until cooked. 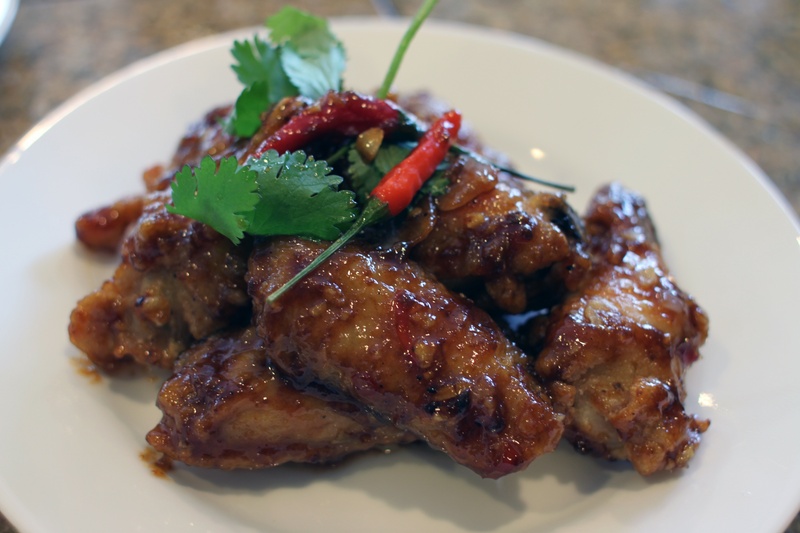 Tamarind Chicken Wings – Heat Wok on Medium High. Add 1 tablespoon of oil. When oil looks hot, add garlic, shallots, jalapeno, and Thai chili peppers and saute for a minute. Add 5-6 tablespoons of tamarind sauce and continue to stir for another minute. Add chicken and coat with tamarind sauce. Plate and serve immediately.